“From now on, we have decided to detach ourselves from the party in Addis Ababa and we have already established our own army command” – OLF army. The army of the Oromo Liberation Front (OLF) has officially separated from the party, OLF, which is based in Addis Ababa, The Reporter has learnt. In an official statement released by OLF’s army a.k.a. Waraana Bilisummaa Oromoo (WBO), the army said it no longer has any relationship with the party as well as the party’s leadership in Addis Ababa. “Even if we had previously agreed to a ceasefire and settle our difference with the government, the government has continued to arrest our members and wage war on us,” reads the statement. It is to be recalled back in August, 2018 the Ethiopian government represented by deputy chairman of the then Oromo Democratic Party (ODP) and the then Minister of Foreign Affairs, Workneh Gebeyehu (PhD) traveled to Asmara to meet with OLF’s top ranking officials including Dawud Ibsa, chairman of OLF. It was then that the Government of Ethiopia signed the peace agreement with the OLF to end hostilities. Previously, the OLF was labeled as a terrorist organization by the House of People’s Representatives (HPR). The agreement made between the two sides was not made official to the public. However, in general terms, they have reached an agreement whereby the OLF lays down its arms and commit for peaceful political struggle. Yet, the terms of the agreements between the aforementioned officials has not been made public and has been a point of contention for months. In September 2018, the leadership of OLF along with 1,500 members of their army based in Eritrea arrived in Addis Ababa, welcomed by regional and federal government officials and thousands of supporters. 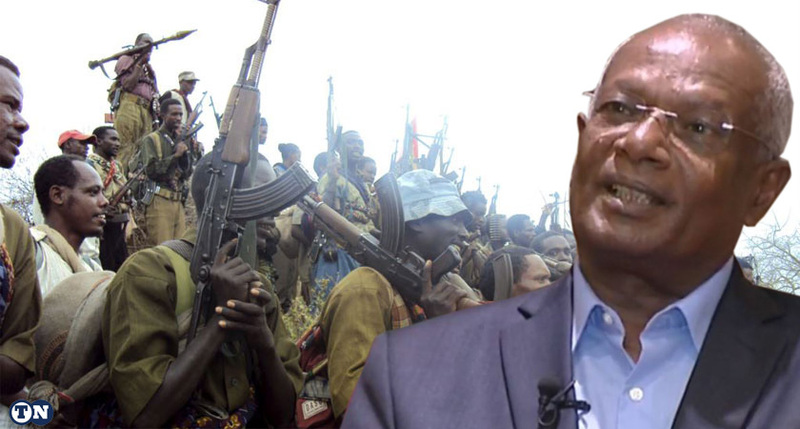 The process where OLF agreed to lay arms, however, was interrupted by another turn of events whereby OLF’s army in West Oromia was said to have refused to lay arms. For months, the situation continued and was, in fact, becoming a source of security problems across West Oromia and Benishangul Gumuz Regional State. In addition, after months of cold relationship between the two parties as well as conflicting statements, back in late January 2019, OLF and ODP officials agreed to solve their problem. Accordingly, a committee consisting of Abba Gadaas (community elders) as well as a number of well-known influential figures including Jawar Mohammed was established. The committee, which has 71 members, was mainly working to peacefully disarm OLF’s army. OLF’s party leaders had also gave full responsibility of the army to the committee and agreed not to interfere in the process of disarming the army. Since then, only 800 army members of OLF have agreed to lay their arms. “However, after this, the government failed to fulfil its responsibility of handling the soldiers in a good way,” a senior official of OLF told The Reporter. “They took the 800 and more soldiers in a military camp and left them in bad conditions,” the official said. “From now on (April 1, 2019), we have decided to detach ourselves from the party in Addis Ababa and we have already established our own army command,” said the statement. “The army which has seven command regions across Oromia has already established its army leaders which, from now on, will be led by a committee of army commanders,” sources from OLF told The Reporter. “Yes, we know about the statement by the army,” Tolera Adabba, communications head of OLF told The Reporter. “The army, however, did not communicate with us before the release of the statement,” he said. In the meantime, OLF has begun the process of being registered as a national party by the National Electoral Board of Ethiopia, The Reporter has learnt. “We will soon begin to hold different public meetings and finalize the registration process,” said a senior official within OLF.